GSL, the Global Ship Lease, announced that revenue for the first quarter of 2017 fell from $6.8 million to $4.2 million. which was lower than the 39.6 million US dollars in the same period of last year. the company continued to maximize the value of its lease coverage by maintaining the employment of all small and medium-sized container ships. In the first quarter, the company and Orient have reached a renewal agreement for OOCL Qingdao, a 8063TEU container ship. The renewal lease period starts on March 11th, 2018, and the daily rent is 14,000 US dollars. In addition, on March 1, the company agreed to acquire a 2,800 TEU container ship built in 2005 for a price of US$11.3 million. 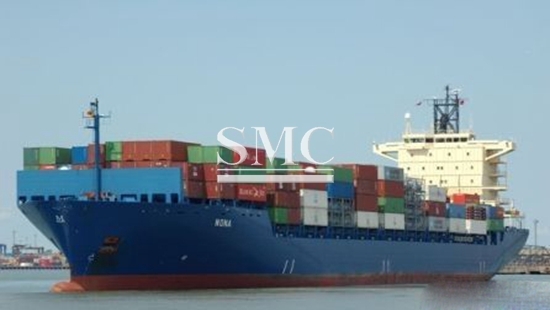 After the existing lease of the vessel is over, it will begin to fulfill the time charter agreement with CMA Cleveland. The lease period is 12 months and the daily rent is 9000 US dollars. the company will begin to grasp the opportunity for the small and medium-sized container ship market to significantly strengthen this advantage. the strong global economy and the proportion of idled vessels in the world being below 1.5%.